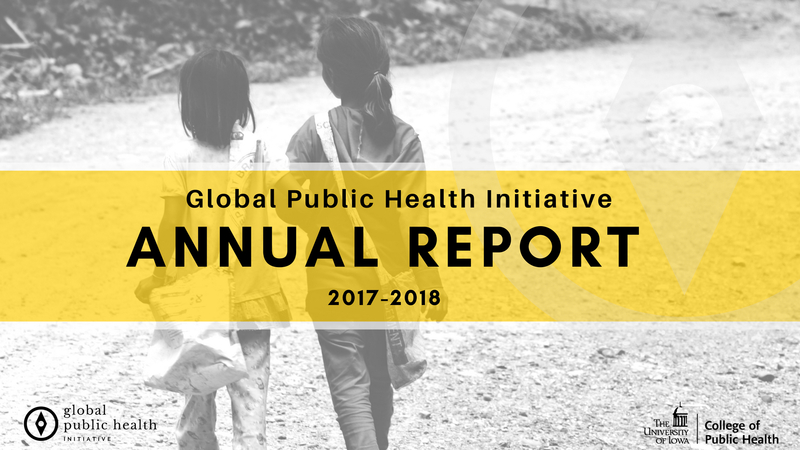 At the University of Iowa College of Public Health, we are working to make global education a reality for all by creating a comprehensive collegiate cultural of global health. We provide resources allowing students to engage more tangibly with global public health in the classroom and across campus. Through international research collaboratives and partnerships, students and faculty alike work together to address pressing global issues and crises, ultimately moving the College of Public Health toward becoming a global leader in public health education, practice, and research. For Faculty Find resources and funding to develop global research projects and new teaching resources. For Students Find information about available global travel funding, learning abroad, and more. Thanks to a generous donations from Dale and Linda Baker and support from the College of Public Health community, we are able to offer sizeable grants to support international travel for a variety of academic needs. Whether it’s for faculty research, global internships for graduate students, or undergraduate study abroad, we will do everything in our power to international learning experiences a reality for our students and faculty. Take a look at our global impact, what we’ve implemented so far, and what we see for the future. Learn from global scholars, explore international programs, and discover scope of global options available to our students and faculty. Our world-class faculty and students have worked around the world in a wide variety of unique research and teaching positions. Join them. Take a second to learn more about our international partners and programs providing experiential opportunities around the world. Let us know how we can help you get started on your global journey.